There are some colleges and universities that offer Business Administration courses in South Africa. However, there are many other colleges that offer courses that focus on various aspects of Business Administration. Business Administration is a slightly broader term and field than Business Management. 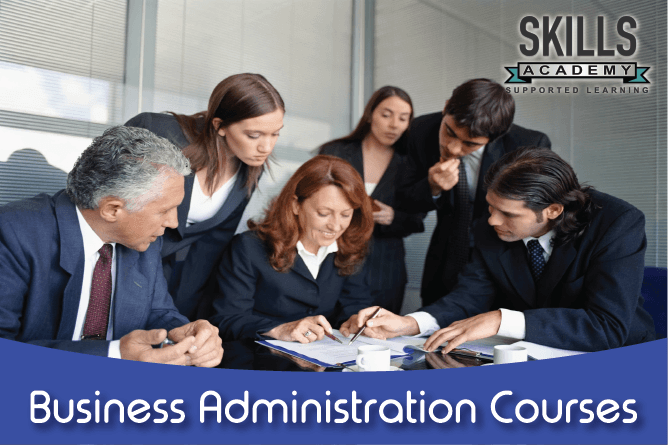 Business Administration is a broad overview of all aspects of a business. Once you have the broader view you can specialise in a specific field. You can specialise in things like Office Management, Financial Management, Marketing Management, Accounting, or even Business Management. These courses can give you great qualifications and a broad range of skills. There are many different courses to study. Many colleges offer provider programmes. These are programmes that are designed and presented by the colleges themselves. Some colleges also offer courses such as the ICB courses. To start this study stream you will have to have at least grade 10. However, you don’t need to have any accounting knowledge or experience. Entrepreneurship has to do with everything that goes into starting your own business. As an entrepreneur, you will have to manage every part of your business in the beginning. The ICB offers three Entrepreneurship courses. To being the Entrepreneurship study stream you will need to have grade 11. This study stream only requires you to have grade 11 to start. You will need to have at least your grade 11 qualification to start studying this stream. For this study stream, you will need to have grade 12 before you can start. Skills Academy also has many different Business Administration related courses that you can study. Below is a list of the Business Administration related courses that Skills Academy has to offer. The most valuable asset that any company has is its people. If the a company’s people are unhappy then the company will not succeed. This is why it is so important to make sure that a company has good management when it comes to its staff. There are three provider programmes in this field on offer at Skills Academy. Production and Operations Management deals with the creation of products. It has to do with managing the entire process of production from the start, the input of the raw materials, to the end, the output of the finished products. A manager is usually responsible for one department whereas a General Manager is responsible for all the departments of a company. This means that they need a wide range of skills and knowledge to be able to perform their duties effectively. This is a field that focusses on the management of the sales team and sales strategies to achieve a company’s sales goals. Skills Academy offers three courses in this field. Call center management has to do with the way a manages the daily operations of the call center. This includes things like training, customer interaction, reporting and scheduling. Retail Management is all about selling a product to customers. It covers everything from getting customers into the store to the customer finding what they want and leaving the store satisfied. Marketing Management is all about the development of strategies and plans to increase the advertising and sales related to a company. This is all about analysing risks and creating plans to prevent them as well as minimising risk. This could be from risks involved with resources to cybersecurity. How do I Sign up for These Courses? If you are interested in registering for any of these courses, call Skills Academy toll-free on 0800 39 00 27. One of our consultants will help you to register. Start your journey towards your dream career today!